A new way to predict the risk of falls in long-term care patients has been developed by researchers. The study on the assessment method, titled “Fracture Risk Assessment in Long-term Care (FRAiL)” was published Aug. 31 in the Journal of Gerontology Medical Science. 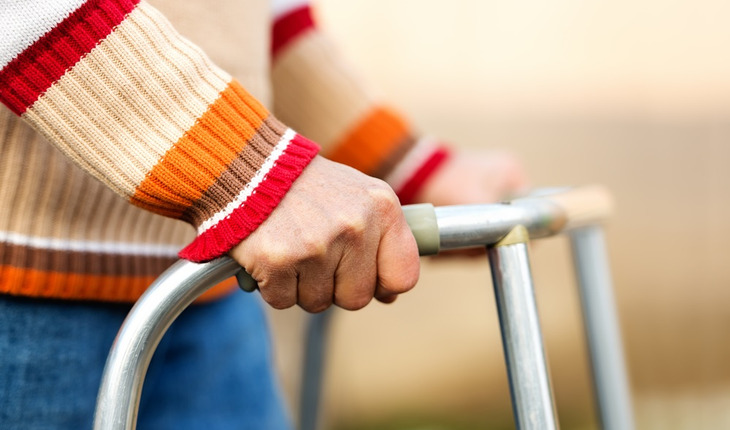 The FRAiL model was developed by researchers from Hebrew SeniorLife’s Institute for Aging Research after following a large cohort of nursing home residents over a two-year period to identify which risks most often led to hip fractures for the residents. By studying a sample of only nursing home residents, the FRAiL model was able to identify those fracture risks that are unique to nursing home residents. These ultimately differ quite a bit from the fracture risks facing seniors living independently. Hebrew SeniorLife is an affiliate of Harvard Medical School. The study revealed a collection of characteristics that are significant predictors of hip fracture in nursing home residents. These factors are: older age, white race, female, impaired cognition, independence in the activities of daily living, locomotion independence, urinary continence, previous falls, transfer independence, easily distractable, proclivity towards wandering, and others. For both men and women in nursing homes, it seems that the more independently mobile one is, the more apt they are to fall and incur a hip fracture. This is in direct opposition to seniors who live outside of the nursing home, who are more apt to fall and incur a fracture if they are less independent in their daily living skills. The new FRAiL assessment is an important tool for senior long-term care providers, because nearly 10% of hip fractures occur among nursing home residents. Of those nursing home residents who incur fractures, 36% will die within six months, and another 17.3% will become completely disabled. If service providers can screen for falls risk early on, they may be able to prevent debilitating and life threatening hip fractures before they occur. This study was supported by the National Institute on Aging.